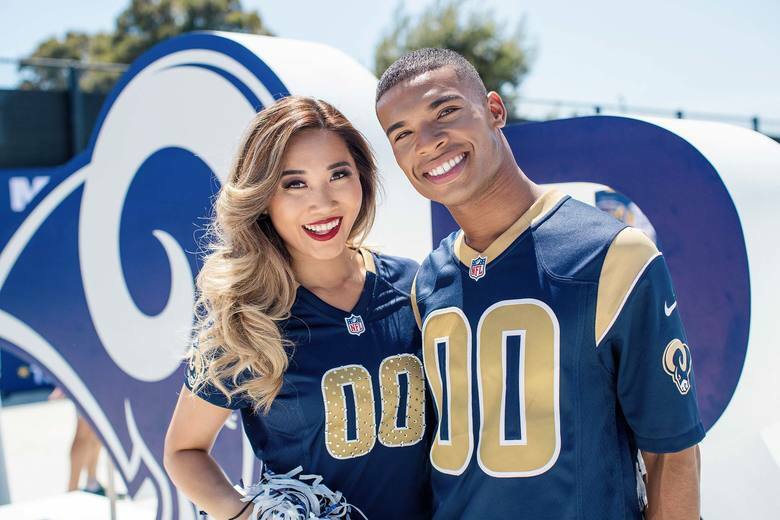 In a pretty big win for inclusiveness, the Rams have added two of the NFL’s first male cheerleaders to their roster for the upcoming season. While some teams have had occasional male performers in the past, they were considered “stuntmen,” and not properly part of the cheer squad. When Napoleon Jinnies and Quinton Peron take the field with the Rams cheerleaders, however, they’ll be fully integrated into the squad–and expected to perform the same high-intensity choreography as everyone else. News reports in recent months have exposed the toxic environments on many all-female NFL cheerleading squads, with the corporate entities that own the teams treating the female athletes very differently than they treat the male players. Concerns were raised around issues of gender discrimination, outrageous work requirements, wage theft, and harassment. As writer Christina Cauterucci observes in Slate, integrating men into cheerleading could result in an upgrade in the respect, prestige, and, ultimately, salary, associated with the job. History bears that theory out; just look at the once female-dominated profession of computer programming. Having male cheerleaders on the field also provides an opportunity to present an image of adult masculinity and success to football viewers that can act as a counterpoint to the version historically perpetuated by the sport and the culture around it. To make it on the Rams’ cheer team, Jinnies and Peron had to push themselves through the same rigorous application and auditioning process as the other 38 dancers who made the team. Peron has been a dancer since 16, backing Carrie Underwood and appearing in Disneyland shows, in addition to choreographing for high school dance competition teams. Before joining the Rams, Jinnies worked as a professional dancer and a freelance makeup artist. The Los Angeles Rams play the Ravens at 4:30 on August 9 in their first match of the preseason, in Baltimore. Your first chance to see Jinnies, Peron, and the rest of the Rams 2018 cheerleaders in action in L.A. will be on Saturday, August 18, when they face off with the Oakland Raiders at the Coliseum.